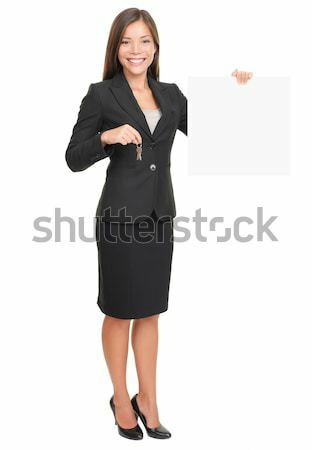 Foto stock: Assinar · casa / Real estate agent showing blank sign while holding house keys. 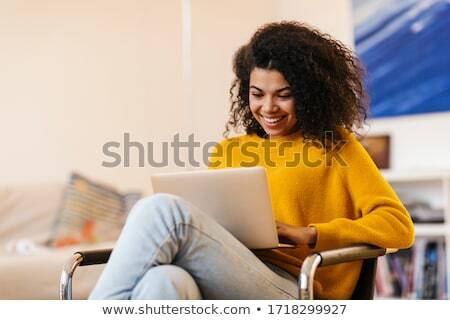 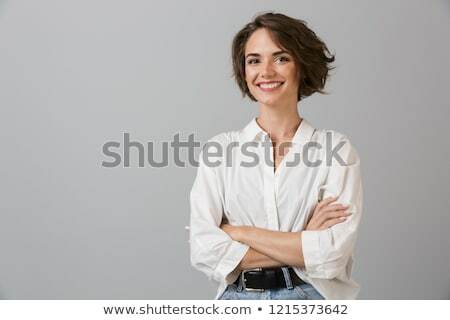 Beautiful smiling woman (mixed Caucasian / Asian) isolated on white background in full body. 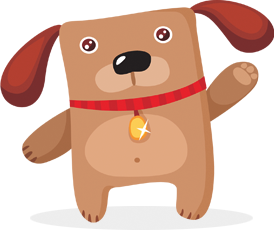 Online desde January 16, 2011.